Sophomore quarterback Zac Thomas had two rushing touchdowns of at least 25 yards, and the Mountaineers (10-2) allowed just one touchdown while forcing the Ragin’ Cajuns (7-6) to kick four field goals. All three of Chandler Staton’s second-half field goals for App State exceeded 40 yards, including a 43-yarder that pushed the lead to 11 points with 2:09 remaining, and the Mountaineers could begin to celebrate when Clifton Duck broke up a fourth-down pass with 1:23 left. App State was clinging to a 20-16 lead early in the fourth quarter when linebacker Anthony Flory’s pressure set up Tae Hayes’ interception on a deep throw, and Hayes returned the ball 32 yards to the Louisiana 44. Stopped on an earlier fourth-and-short play, the Mountaineers faced fourth-and-inches from the Louisiana 35 when Thomas faked a handoff to Evans and scored his 10th rushing touchdown of the season. After the Ragin’ Cajuns kicked a 37-yard field goal to close the game’s opening possession, Evans set up Williams’ 1-yard touchdown with his return from the App State 2 to the Louisiana 1. 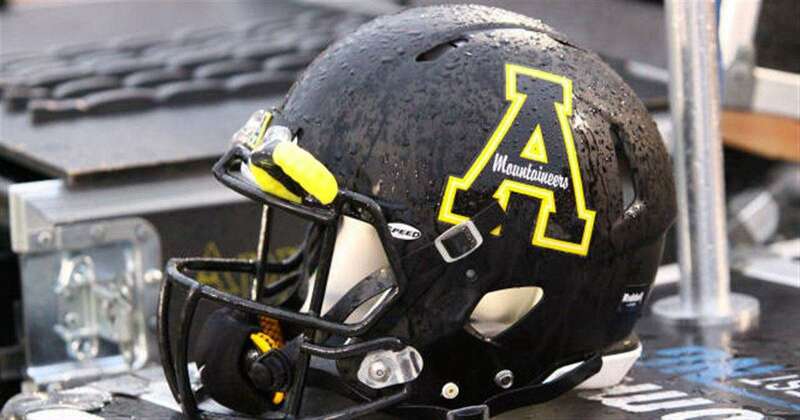 Evans’ block created a running lane for Thomas on his 25-yard touchdown run that gave App State a 14-6 lead late in the second quarter, and Staton converted a pair of 42-yard field goals in the third quarter. Staton’s first kick pushed the lead to 17-6, and Louisiana quarterback Andre Nunez scored on 8-yard run not long after Raymond Calais returned the kickoff 61 yards. A fourth-and-1 stop by Louisiana’s defense at the App State 34 set up another short field, leading to a 23-yard field goal that cut the Mountaineers’ lead to 17-16, and Staton ended the third quarter with a field goal.